I'm not normally a "pink" lip or makeup kind of gal. 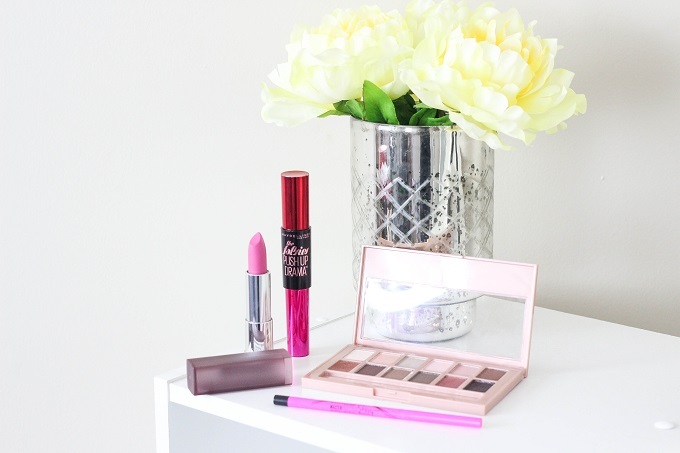 It takes a special occasion or makeup look for me to pull off the peony lips and blushed eyes. 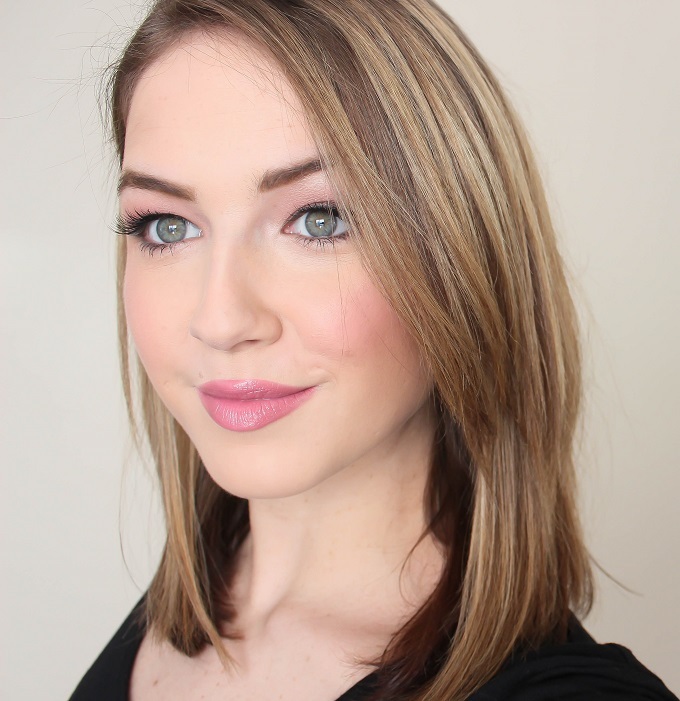 Since Valentine's Day is approaching, I wanted to share my wearable "blushed" makeup look using some of Maybelline's latest products. 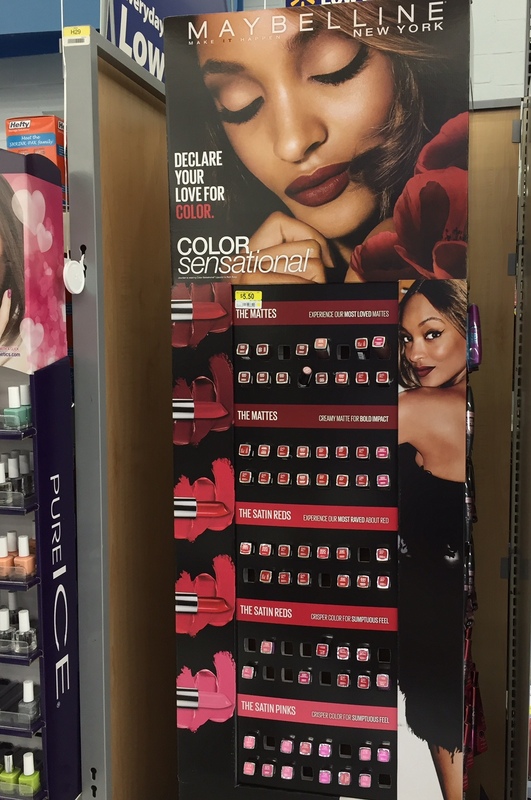 There's a great color range of Maybelline Color Sensational LipColors you can find at Walmart. 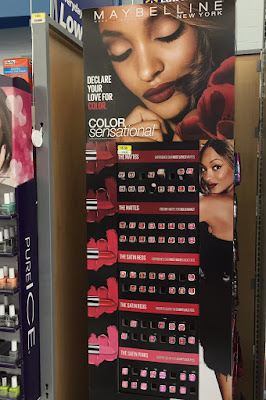 Reds and pinks are definitely two popular shades for Valentine's Day and Walmart has conveniently placed all of those gorgeous colors in an easy to find tower at the end of the cosmetics aisle. 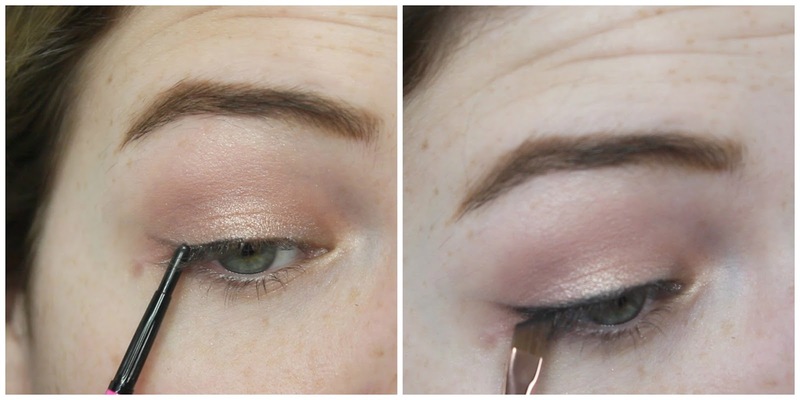 I also picked up the Maybelline "Blushed Nudes Palette" to create a soft rose gold blushed eye look. 1. 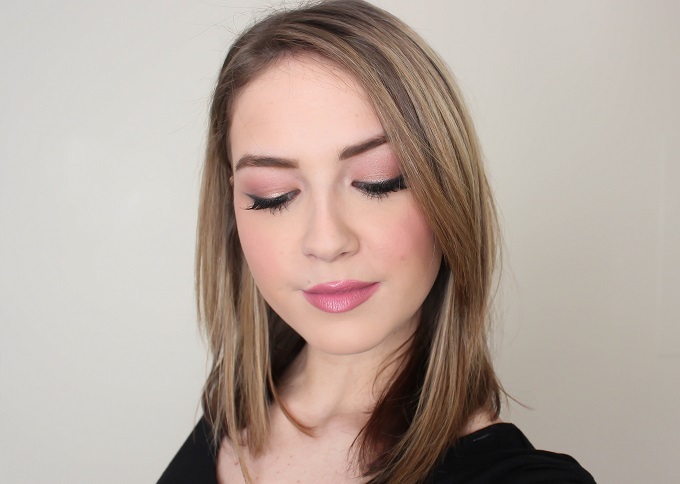 Using the Maybelline Blushed Nudes Palette, pick up the rose gold shade and sweep over lower lid and blend slightly into the crease. 2. Pick up the soft matte lavender shade and blend into the crease of your eye to create a soft transition against the rose gold color. 3. Use Maybelline Master Precise Skinny Gel Pencil, create a thin line on your top lid and slightly wing outward to create a small flick. 4. Take an angle brush and pick up the darkest shade in the Maybelline Blushed Nudes Palette and trace over your liner to create a soft and smoky winged look. 5. Pick up the lightest shade in the palette and highlight your brow bone. 6. Use Maybelline Falsies Push Up Drama Mascara for instant volume and lift to your lashes. 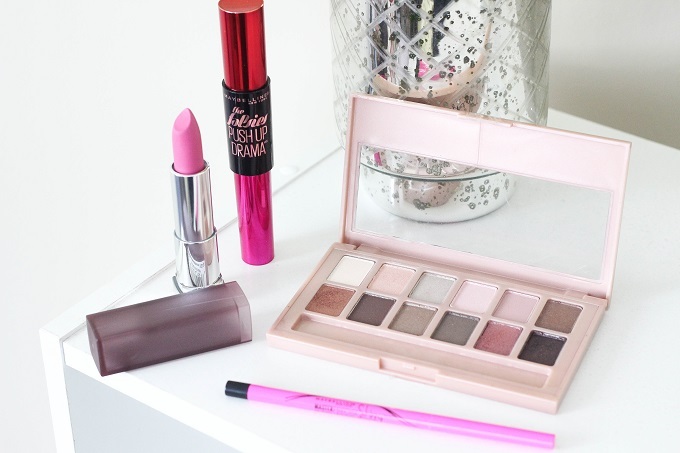 I love how just a few products can change your entire makeup look and add such a romantic touch. I chose the Maybelline Color Sensational Creamy Matte LipColor because the formula is so moisturizing and lasts for ages on my lips. It never feels drying or uncomfortable because it contains nourishing honey nectar which provides a soft creamy texture. The Maybelline Blushed Nudes Palette actually contains rose gold pigments for bolder finishes. 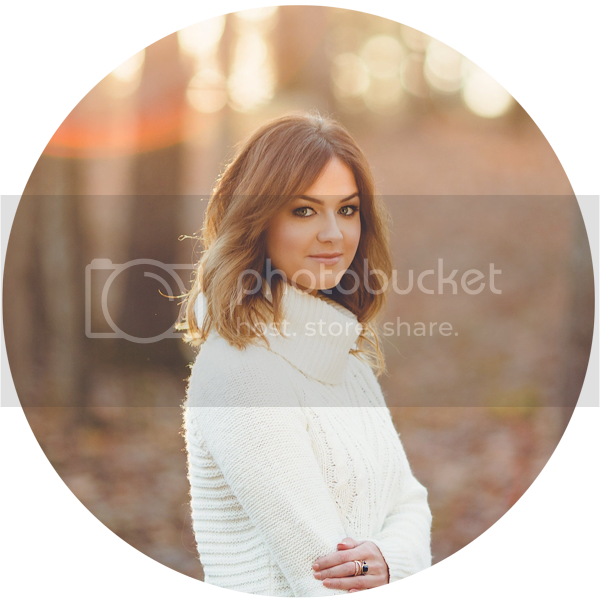 Each shade is unique and can be paired in multiple ways for endless looks.